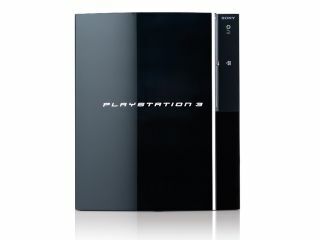 HMV online has begun taking pre-orders for the much sought after Playstation 3 console . Unfortunately for budding gamers, the offer comes with a bit of a twist. The HMV online store is offering customers the chance to get hold of a PS3 on launch day, providing they also buy a 4Gb Sony PSP at the same time, for a grand total price of £675. HMV announced the 'deal' in an email to consumers on Friday, and said "At HMV.co.uk we've been working with Sony to offer up to 5,000 customers an incredible deal when you buy the new Sony 4GB PSP. "Anyone who takes advantage of this offer will get priority over other HMV.co.uk customers for the Playstation 3." But HMV is not actually guaranteeing customers who order the pack that they'll actually get a console on launch day. It only states that those who buy the special bundle "will take precedence over any other online HMV customers". Many people will feel slightly aggrieved by this deal; it effectively prices many people out of a chance at grabbing a PS3 when they go on sale at the end of March. The £425 base price is already too much for many people, so HMV asking for £675 for a Sony games bundle is unlikely to go down well.